The 7th Annual Spring Tech Tour kicked off today with its first stop in Traverse City! Matt Roush, editor of the Great Lakes Innovation and Technology Report on WWJ 950 CBS Radio out of Detroit, makes his annual tour throughout the great state of Michigan to find out what exciting things Michigan’s tech companies are doing. Today I was lucky enough to share a bit of his time along with my friends at Big Daylight. Matt started the first leg of his tour and traveled from his home in Dearborn to Traverse City in a brand new Chevy Volt electric car. For this year’s Spring Tech Tour, Matt is visiting Traverse City, Bay City/Midland, Grand Rapids, Kalamazoo and Lansing. 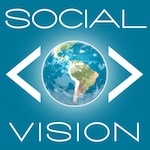 Matt and I chatted about my background in marketing, my inspiration in starting Social Vision Marketing, the services I offer and what the future holds for Social Vision. 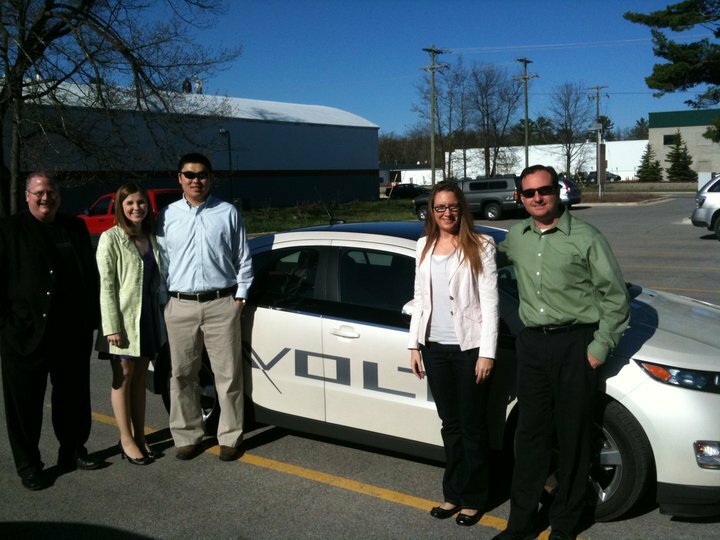 He also gave us a ride in his sweet Chevy Volt! I know many people think of Traverse City as just a resort town, but there is so much going on in our bustling city. We really are quickly becoming a tech coast! Check out the blog and my interview from Matt’s visit – Tech Tour Day Two: TC’s Terrific.